No matter which type of business you have, the chances are that your clients are on Facebook. With around 1.20 billion daily users, according to Facebook stats for December 2016, it is very likely that at least part of your target audience is “hanging out” there right now. And, despite being (and exactly because it is) a free-of-charge service, Facebook is a promising marketplace. Many brands have noticed it and are doing their best to use the most famous social media network as a tool to attract new clients and increase their conversions. Good news is that it isn’t a big deal to join the famous players on this game. Even if you are a small business, there are ways to make some money out of Facebook with very little investment. And one of them is by setting up a store on your Facebook Page. What if I already have an online shop on Shopify or BigCommerce? The first thing that you will need to do so to create a Facebook Store is to check that you have a Facebook Page up and running. Because it is there that you will add your shop. Be also aware that you cannot add a store in the same way if you are outside the United States due to Facebook’s own restrictions. Having said that, it is time to get your shop started. You will have two options here: send people to buy on your website (if you already have one) or to create a store inside Facebook. 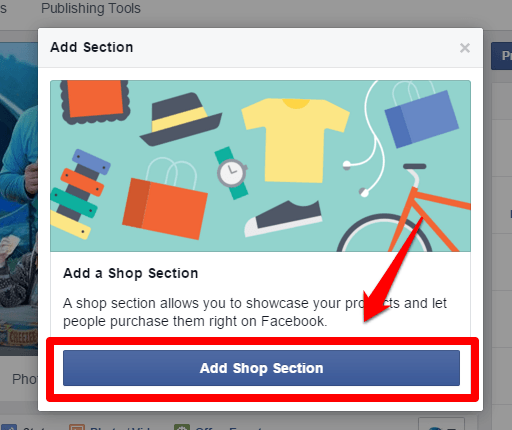 You will create your shop on Facebook by clicking on the “Shop” tab available on your Facebook Page. If you can’t see one, go to Settings >> Edit Page. Then roll the page down until you see the option “Add a Tab”. Choose “Shop” from the menu. The next screen that you will see will ask you to read and agree to the Seller’s Terms and Policies. It’s true that people hardly do it, just sticking it away without giving any thought to it, but I suggest you spend some time on it. If nothing else, get familiar with Facebook Commerce Policies so you know if the sale of your product or services is prohibited on Facebook – digital products aren’t allowed there, for instance. If you want that your customers buy directly from your Facebook Page, you will be asked a few things before start adding your products. Your business’s details, such as physical and email addresses, will be the first. You can also add a separate email for customer service purposes. Then you will have to choose a payment method. Facebook allows you to accept payments through PayPal or Stripe at the moment. If you decide for PayPal, you must have a Business account with them. If you want to go for Stripe, you can use an account that you already have or follow the steps to create one. If you already have an online shop, you can just redirect your clients to your website through Facebook. Meaning that they will still have the Facebook experience, but they will be sent to an external link when it is time to pay. In this case, choose the option “Check Out on Another Website” and let Facebook knows your online shop’s URL when you start adding your products. You will also be prompted to choose a currency. The first option will allow your clients to leave you a message in case they are interested in any of your products. The second one will redirect them to your online shop. In either case, remember to choose your currency to avoid issues later. 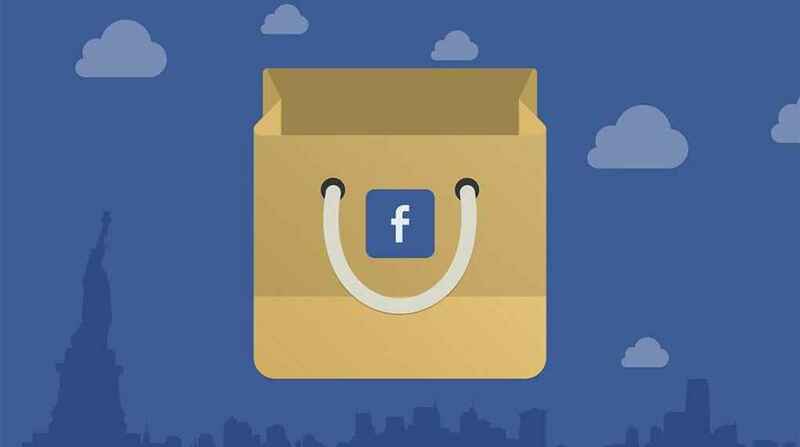 Adding products to your Facebook Store is very easy. Click on your “Shop” and look for the option “Add Product”. Then you will be able to add images or videos of your products, along with its price, variants (size, color, material, e.g.) and your shipping options. On “Advanced Options”, you will also be able to add custom taxes, among other things. If you are outside the United States or choose to check out on another website, you will be asked to add an URL to each product, so people can be redirected to the right place if they want to buy your product. Something very useful that you should consider doing at this stage is organizing your products into collections. You can also do it later, but you should always aim to make yours and your clients search much easier and enjoyable. To get it done, go to your Shop settings and choose “Manage Shop”. You will see the option “Collections” there. After adding your products, you will have to wait until the Facebook review and approve your products. What they will do is to check if your additions comply with the seller’s guidelines and policies. Generally speaking, the process takes about 24 hours, but it can be more or fewer hours. You just have to wait and follow the current status by clicking on a pending product. If you already have an online shop on Shopify or BigCommerce, you will need to follow specific guidelines to get it connected to your Facebook Store. Both solutions have a comprehensive manual explaining how to do it on their support centers. So, before doing anything else, read what they have to say, get it done as they say, and everything will be ready in no time. Now that you got your Facebook shop set up, it is when the fun starts. 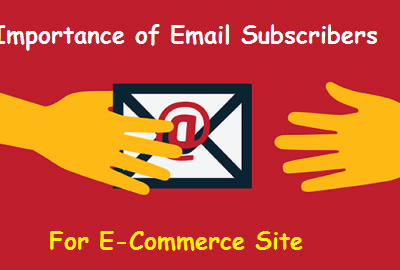 You will have to spend some time making it attractive and engaging as you would do to any physical or online store. When selling on Facebook, you need to have in mind that people can’t touch your product there. It sounds silly to say, but it is still huge the number of businesses that forget that. You know your products very well, but your target audience doesn’t. And they don’t have the luxury to try it on before buying it. 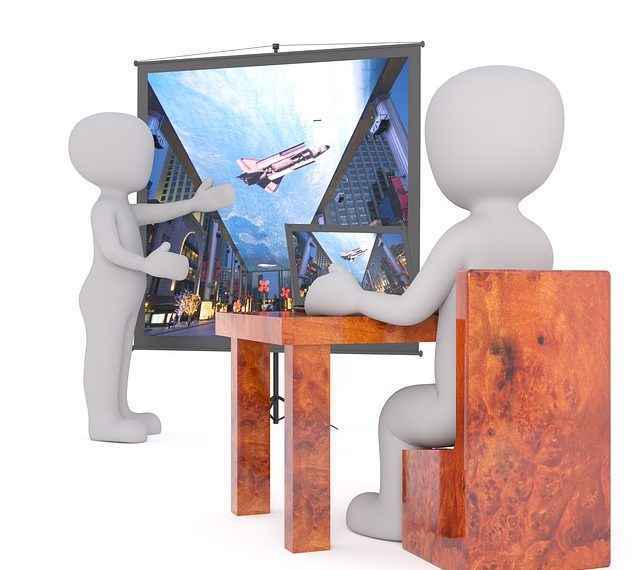 And it explains why the images and videos that you add to illustrate your products become so essential. So only upload high-quality images and high-definition videos to your shop. Also always try your best to provide your clients with a comprehensive overview of your product with as many variants and other details that they might find relevant. If you don’t have your own online shop, but it isn’t happy enough with what the Facebook Store has to offer, you should try Ecwid or shopify. This app will allow you to create a shop and get paid inside the social media network for free and with many more resources. Ecwid will let you add more payment options, and its responsive design will get your shop ready for purchases through mobile devices automatically. On the other hand, you might need to know a few tricks to set it up and be aware that the free plan only allows you to add up to 10 products. Social media networks were created with the sole purpose of sharing. And your Facebook Store should follow this rule. Each one of your products should be displayed with a social sharing button nearby your “Buy it” button, so people can share what you are selling and ask their friends for opinions and comments about it. It will work as free advertising to your products and, assume that your portfolio is appealing, it will bring you more clients. And you won’t have to move a finger to enjoy its advantages after setting the plugin up. It is very tempting to add a large number of products to your Facebook Store as soon as you create it. But you should go easy here. It is important that you consider a few things before adding your entire catalog to it. Have in mind that people don’t log on Facebook to shop. They are there to interact with other people. And to get them to stop reading their newsfeed and give some attention to your brand, you need to make sure that what you are offering is meaningful. So, instead of adding 100 products, maybe 10 is the right starting number for you. The products or services that you choose need to be just what your potential clients have been looking for, and their buying experience has to be the best. Meaning that you should spend more time perfecting your shop before growing it. As you can see, it is hard to create a Facebook Store. But it can be daunting grabbing your target audience’s attention. So make sure that you take your time setting it up, and that you learn what attract your clients and make them interested in what you have to sell. 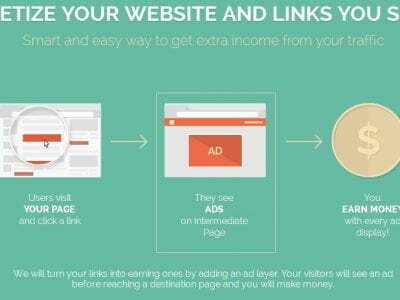 It will give you a head start and increase your chance of making more conversions in the near future. I think its more about what product you’re promoting. There are lot of other ad platforms to reach the audience but reaching the right audience (the people that are interested in product) is more important. I personally believe that Google Adwords is much more better than Facebook. Again depends upon the product you’re promoting but people from google are more likely to purchase than people from Facebook. I promote my products on both the platforms though! but my daily budget for ads on Adwords is always more than that of Facebook Ads. 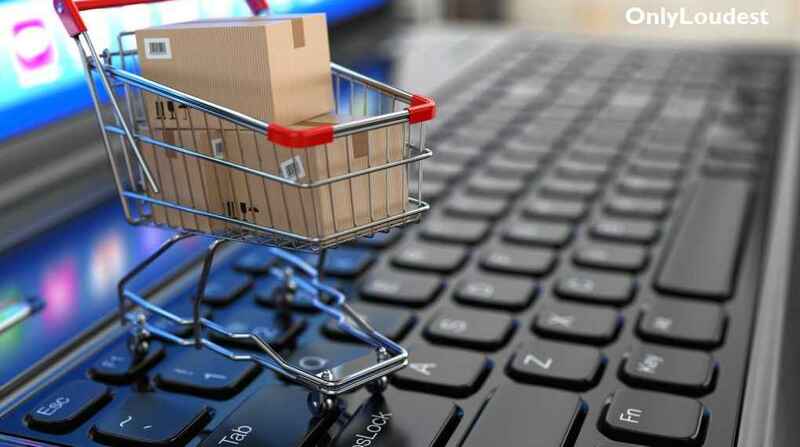 Launching an online buying and selling page via facebook will be a great option to have. It will reduce your overall cost of establishing a new specific website, which could be so expensive. According to me, Facebooks ads is the best platform to run ads and reach more and more people, even their rate is quite low. Every digital marketer should leverage it right now, because in future their rate may increase. Well I had added my shopify store links a long time ago and I think it was successful in that. After reading this post I learned about my mistakes.